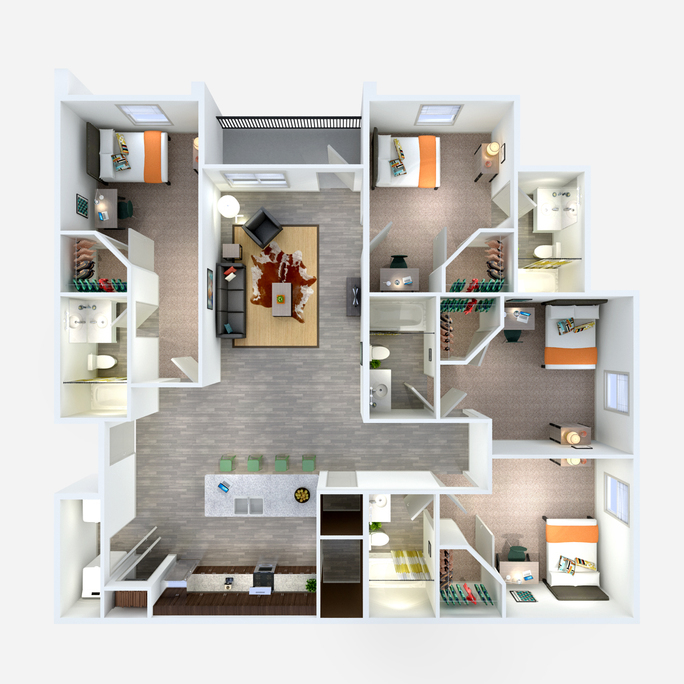 The luxurious off-campus housing community at Midtown Sam Houston was designed with you in mind! 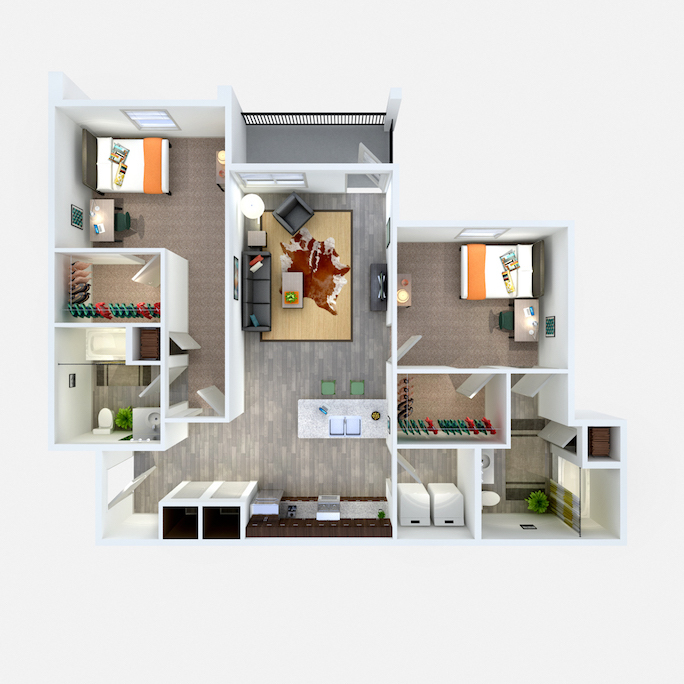 Two- and four-bedroom fully furnished floor plans – decked with upscale amenities from top to bottom – offer the ideal place for students to live life to the fullest during their college years. For more information, contact the leasing office or schedule a tour today!